Tips on making, selling, and supporting zines wherever you are in the world. Discovering zines was a revolutionary moment for me. I stumbled upon an entire section in my city’s library dedicated to them, and I was hooked. I ate up every zine I could get my hands on, scouring every corner of my city (and the internet) on a quest to learn everything I could about this amazing DIY scene. Now, I’ve been making my own zines for the past four years and have sold zines at various events for three. I’ve attended zine fairs in multiple countries and am proud to have a growing collection of zines by creators I am thrilled to support. Zines mean something different to everybody. Definitions of this publishing form are always broad; this inclusivity is part of what makes them such a personal medium. When people ask me about what makes a zine, I usually point towards the DIY spirit that runs throughout all zines. This independent sensibility away from mainstream publication routes leads to the small print runs, low price point, and handcrafted aesthetic that is often seen in zines. Of course, there are exceptions to this rule, but, generally, most zine makers I’ve met share the same DIY ethos with passion typically ruling over profit. Wondering how to get more involved in a zine scene near you? Because of the independent nature of zines and their creators, sometimes it’s hard to figure out how to get your hands on a zine. However, here are a few steps that might help you get jump-started on spreading the zine love. FYI: everything here is from from personal experience and is by no means comprehensive! 1 – Start making your own zines. Nothing fosters an appreciation for this medium more than making your own! The wonderful thing about zines is that literally anybody can make them, and they can take whatever form you choose. This Rookie article shows you how to make a paper zine in its simplest form. However, the possibilities are endless. If you’ve been meaning to start making a zine but are having a hard time motivating yourself, consider holding a zine-making gathering with friends. All you need is plain paper, old magazines for collages, writing supplies, and a photocopier. Follow this guide in July, International Zine Month, for inspiration, or try to make a zine in a single day. 2 – Find a zine fair in your city or start your own. 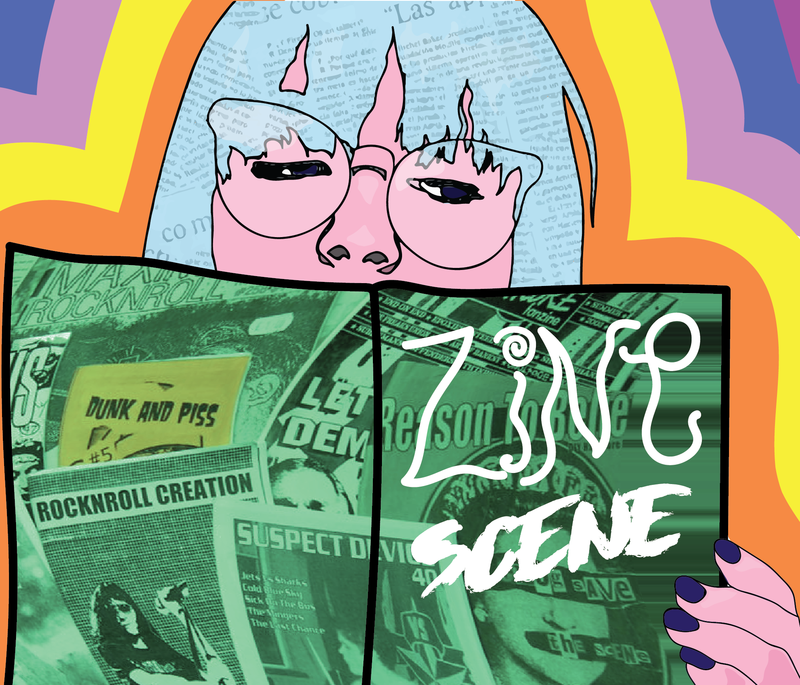 This online resource by this Facebook page dedicated to zines can help you find out what kinds of zine fairs might be happening in your city. Otherwise, check out independent bookstores, comic book shops, libraries, local art collectives, and DIY art spaces to see if they have zine libraries or zines for sale. They might also be able to help if you want to start your own zine fair. I’ve been to upscale zine fairs with dozens of professional artists selling their zines, as well as gatherings that are just a few stalls of passionate zine-makers wanting to share their work. Both are equally valid and important. If you live too far away from zine events but still want to get your hands on some, try ordering them online. I’ve gotten some great finds on Etsy by independent creators. Plus, your favourite artists on Instagram or Tumblr might have zines that you can buy in either paper or digital form. Also, a more traditional route is to order from a zine distro, or distributor, especially if you’re looking to buy a whole bunch of zines from different creators. These distros are middlemen who buy and sell zines on behalf of artists. They have been essential in helping zines gain traction worldwide, especially before e-commerce made it easier for creators to sell work themselves. Here is a list of distros to check out. 3 – Support local zine makers and the DIY arts community. This is probably the most important step! Go to zine fairs, talk to the people who make them, and learn about their work. Independent arts scenes have the tendency to still be predominantly white, male spaces. Take note of whose work is being shown in your community and support diverse creators. I was really inspired by this interview with Devin M. Morris, who started a PoC-only zine fair. Consider helping out with zine fairs in your city – I was able to volunteer with the Queer Zinefest Berlin this year, and it was a great experience to see the organizing behind-the-scenes and to help ensure a safe and creative space. At zine fairs, sometimes you’ll see people doing trades or exchanging their work with other creators. This can be a great way to connect your local zine community and build your collection. I hope these steps have been a good start for you to start getting into your local zine scene. Like many independent art communities, zine scenes are generally upheld by people who are driven by passion rather than profit. Help broadcast the voices and art of people who often don’t get access to the microphone in society at large, and find inspiration in the freedom that zines provide. Emily is the managing editor. When she is not doing GrrlPunch related things, she enjoys holding cats and trying to be funny.